Many people who don’t suffer from either one often use the terms “food allergy” and “food intolerance” interchangeably. If you have a food allergy or an intolerance to certain foods, then you know firsthand that they are not the same thing. Food allergies are similar to a food sensitivity and intolerance in the sense that they both cause physical reactions when you eat certain foods. They’re also similar as far as some of their symptoms go. 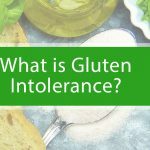 A food intolerance differs from a food allergy in several key ways, however, most notably in the context of the severity of their respective symptoms. The symptoms of a food sensitivity and intolerance are often less severe and they typically present as digestive problems. The symptoms of a food allergy can be quite serious and they may even be life-threatening. Whereas you might be able to prevent a reaction if you have a food intolerance by taking a supplement or medication, the only way to sidestep the consequences of having a food allergy is to avoid the offending food altogether. In some cases, this may mean not even touching the food. If you have a food sensitivity or intolerance, your body will physically react if you eat an offensive food, but your body’s reaction will not involve your immune system. Your body’s reaction may or may not include some of the symptoms that often present with a food allergy. It’s important for you to talk to your doctor if you’re having a physical reaction when you eat certain things. That’s because food intolerance and sensitivity can be treated in some instances. If you’re lactose intolerant, for example, you might be able to treat your intolerance simply by taking lactase tablets before you consume food that includes lactose. 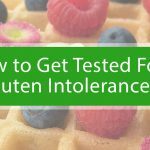 If you are diagnosed with a food intolerance, you shouldn’t be overly concerned if you consume something that will aggravate your condition. While you may be uncomfortable after you eat the offending food, you will not die from an accidental exposure as you might if you had a food allergy instead. The experts at Dr. Weight Loss can help you identify foods that are inamicable to your body with food sensitivity testing and other methods to determine what foods you should stay away from. Contact us today to schedule a free consultation and say goodbye to food issues for good.